One of the unavoidable realities of being a family lawyer is that few marriages end without difficulty or tension. No matter how reasonable spouses are, they are brought to the point of formally breaking up by differences of opinion or behaviour which occur over weeks, months or, in some cases, years. Having said that, it’s also worth pointing out that despite whatever friction there may be the vast majority of couples find it possible to conclude their divorces – sorting out the administration, the finances and even the potentially tricky issue of who looks after their children and how – in an amicable fashion. The combustible break-ups which generate such fascination on the pages of some of the nation’s newspapers are, I have to say, the exceptions which prove the rather more moderate rule. However, the idea that every divorce involves bitterness and outright hatred instead of reason and maturity has become something of a stereotype which drama and comedy have long since tapped into on a regular basis. Now, they are not alone. The Prime Minister, Theresa May, no less has suggested that her strategy for Britain’s exit from the European Union will be considerably calmer than the usual marital collapse because, she told MPs, “very often when people get divorced they do not have a very good relationship afterwards” (https://www.theguardian.com/politics/commentisfree/2017/mar/14/dont-mention-the-divorce-why-must-it-all-be-about-brexit-thought-theresa). Mrs May, it should be said, is not the first politician to use the analogy. The tone was set by the EU President, Jean-Claude Juncker, who warned that last June’s ‘Brexit’ vote would not make for “an amicable divorce” (http://www.independent.co.uk/news/uk/politics/brexit-latest-eu-referendum-juncker-article-50-when-will-uk-leave-not-an-amicable-divorce-a7102561.html). He may well be right…but he and the leader of the Conservative Party are also very, very wrong. 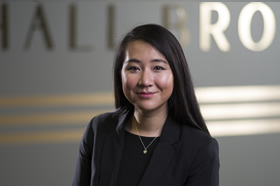 Myself and my colleagues at Hall Brown Family Law have quite literally handled thousands of divorces over the course of our careers so far. Even in circumstances such as these, which can understandably be sensitive and distressing, couples have managed to put their differences aside so that a deal can be done and they can get on with the rest of their lives without rancor. Disentangling finances and other assets can take time but that’s generally because of the importance of making sure that things are done correctly rather than commit mistakes from acting in haste. The sums involved in the divorces that I have dealt with may not have been of the magnitude currently being disputed by Westminster and Brussels but, I would argue, the fundamental principles are the same. Those isolated breakdowns in which spouses prepare themselves for the marital equivalent of a pitched battle either precipitate just that or provide a pleasant surprise when they realise how relatively straightforward a process it can actually be. My comments should not necessarily be taken as a pitch to become directly involved in effecting a solution to last summer’s referendum vote in the UK. Even so, if tens of thousands of couples each year can separate and rebuild their prospects with confidence, surely it’s not beyond the reach of the House of Commons and the European Parliament to do the same.